My lovely follower, are you ready? I have an awesome Excerpt reveal for Megan Erickson‘s upcoming M/F paranormal vampire (sorry folks ;)) called Blood Guard for you. :3 It’s the first book in her new Mission series. But now, have fun with the hot expert of Blood Guard and the awesome graphics. 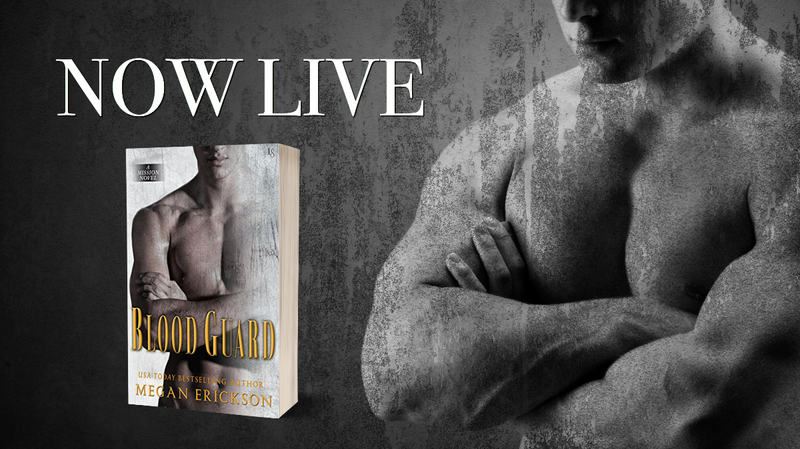 Check out this amazing EXCERPT of Blood Guard by Megan Erickson! Coming soon on September 12th, you’ll want to sink your teeth into this romance! My lovely follower, are you ready? I have an awesome teaser post for Megan Erickson‘s upcoming M/F paranormal vampire (sorry folks ;)) called Blood Guard for you. :3 It’s the first book in her new Mission series. Blood Guard by Megan Erickson is coming soon on September 12th!